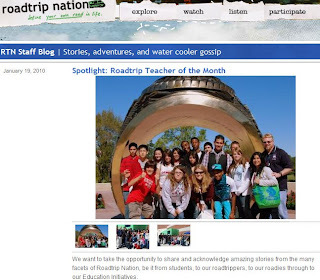 Roadtrip Nation loves Mr. Duez! Thank you to all of the students for being so engaged and being awesome AVID students! Let us know if you'd like to set up a video conference so you can 'meet' all of us here! Thanks Annie. I will ask our IT group about the video conferencing. That would be great to do by the end of the year. The kids would love it.